I was sadly quite disappointed with this brush. I loved the last mineralise eye brush which was released by MAC (the 286 duo fibre), which is a fantastic all-round brush for a multiple of uses, not just as a blender brush. The white (synthetic) fibres are quite sparse on this brush, and the black (natural) bristles are quite dense. It's a very soft brush. But it's nowhere near quite firm enough to use for pigments, or frosted shadows, or wet shadows. 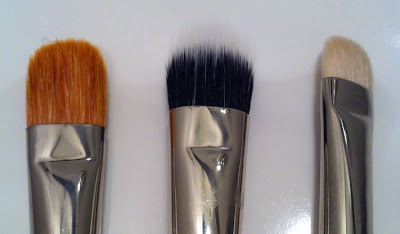 It's not dense enough or firm enough to be used as a lay-down brush. It is not fluffy enough to be used as a blender brush. It does work reasonably well for cream products like Paint Pots, but it's not a necessary purchase. From a size comparison perspective, it's slightly bigger than the MAC 252, and a good deal thicker, however to be honest, the 252 is probably more useful for either getting a wash of colour or packing on colour. 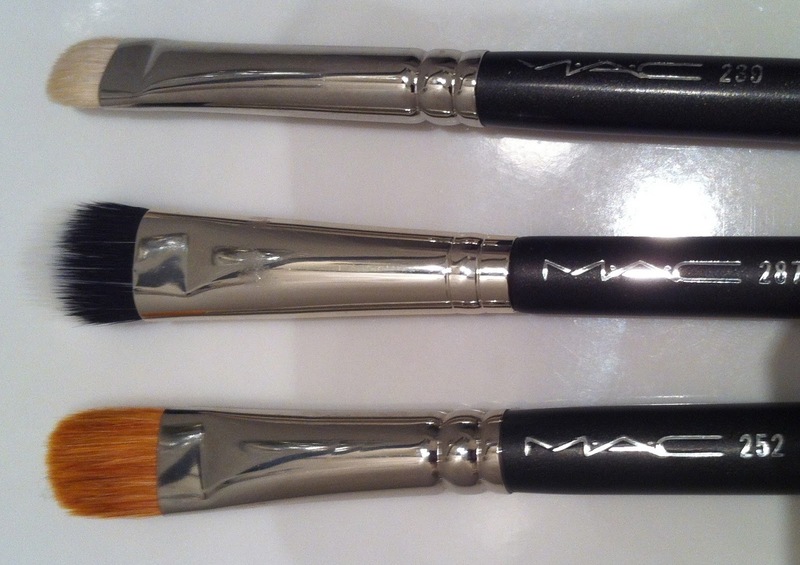 The best use I've found for this one (the 287) so far is for concealer - and I have plenty of concealer brushes. Look here for more information (while still available).